There's nothing quite like those finishing touches that turn something good into something great. 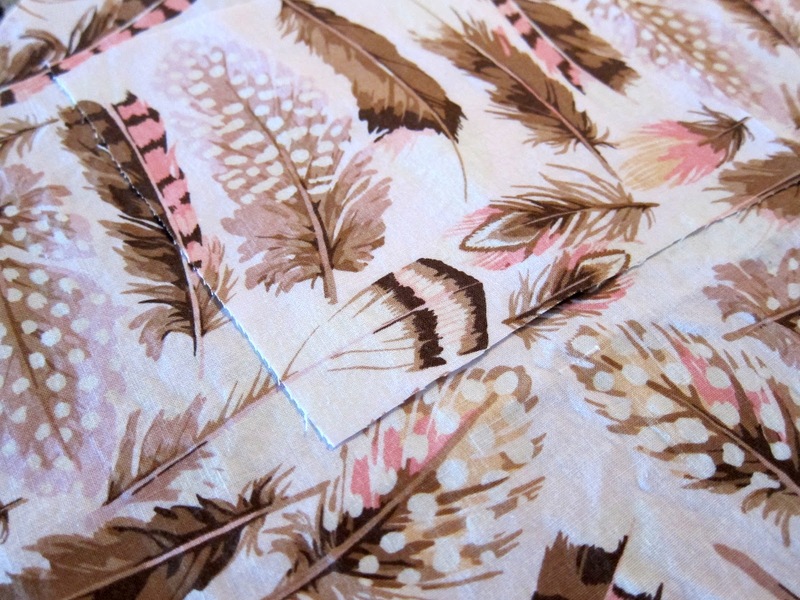 That is the feeling I got from taking the time to perfectly match the prints on my Wiksten tank so that the breast pocket faded right into the front of the top. Although I am sure there are about 1000 other (and likely better) ways to do this, I figured I would share my method in case you wanted to give it a try. 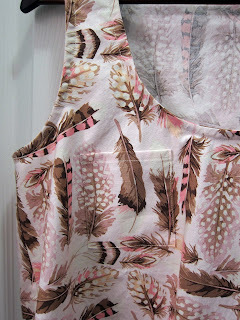 Cut the front of the tank top, following the pattern instructions. Transfer the pocket placement markings onto the fabric for the front of the tank. For this tutorial, I used a mechanical pencil to put small dots on the fabric at each corner of the pocket but I actually prefer using tailor tacks as they don't end up leaving a mark that you need to worry about trying to wash out. Mark the seam allowance on the actual pocket pattern piece. 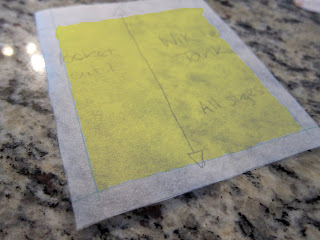 The unmarked rectangle in the middle (highlighted in yellow) will be the finished pocket area. Line up the corners of the finished pocket area (in yellow above) with the pocket placement markings on the front of the tank top. Lightly pin the pattern piece in place taking care to keep the pin heads to the outside of the pocket pattern (making them easy to remove later). Grab some extra fabric that exactly matches the area for the pocket. 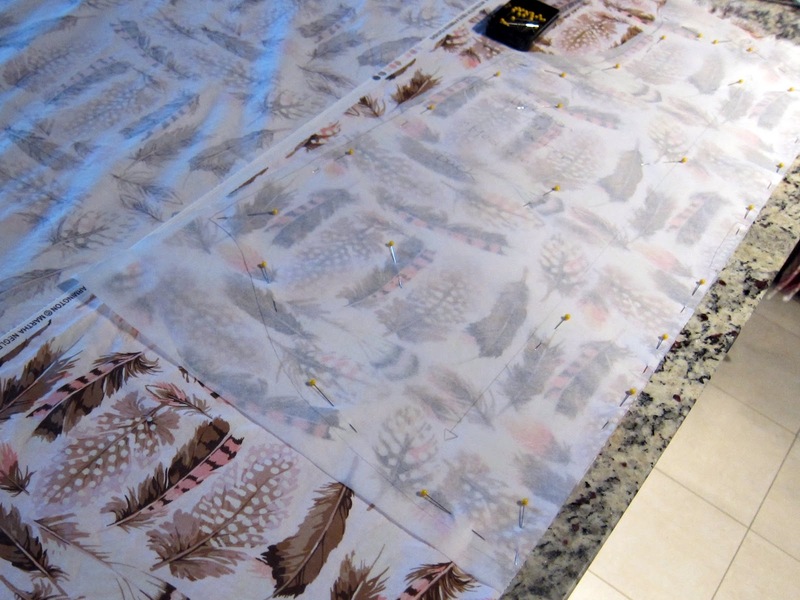 Place the fabric right side up on the tank front and adjust its position until the prints line up perfectly (I like to check the alignment at various points in the print to ensure accuracy). 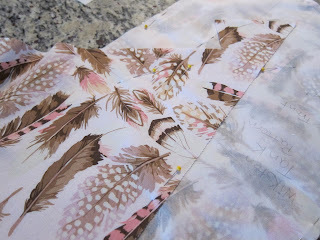 Carefully pin the matched fabric to the pocket pattern beneath it, taking care not to pin all the way into the front of the tank (The pattern should be sandwiched between the tank and pocket fabric). At this stage, I like to trim the pocket fabric so that it is about 1.5 to 2.0 inches larger than the pocket pattern on all sides. 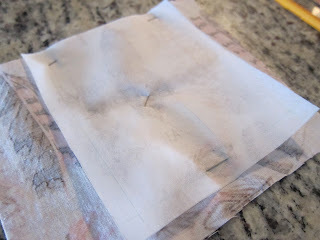 This is not necessary but it allows you to remove all of the unnecessary fabric and makes things a little easier to manage. 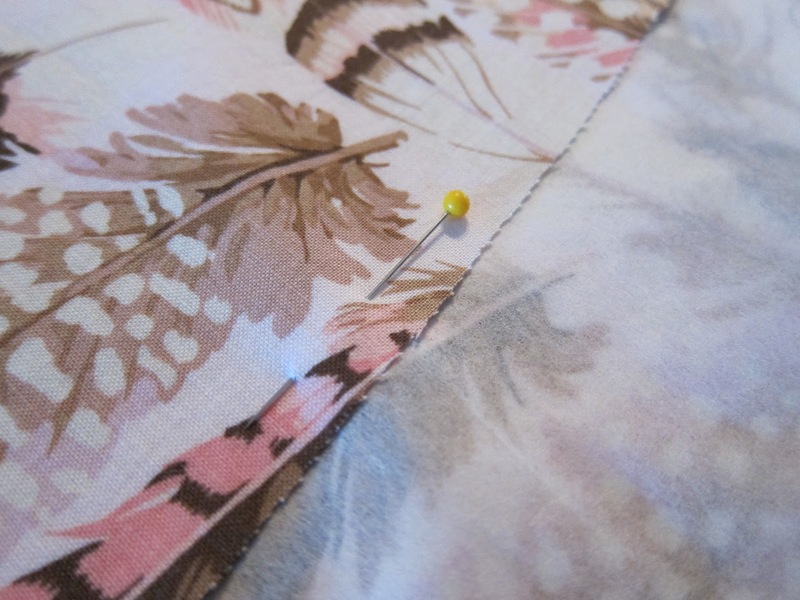 Remove the pins that are holding the pocket pattern to the front of the tank so that you are left with the pocket pattern pinned only to the wrong side of the perfectly matched fabric you cut for the pocket. With the pocket pattern and matched fabric still pinned, cut out the pocket from the wrong side using the pattern. 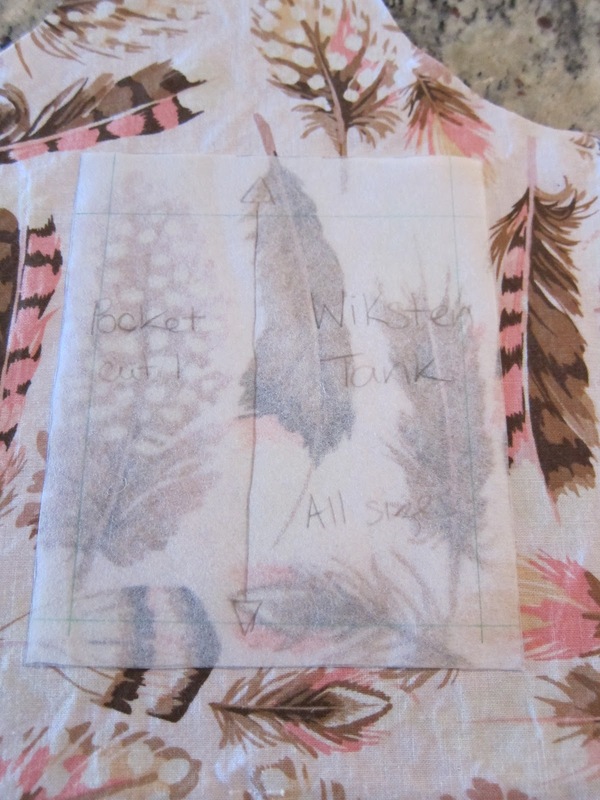 Follow the pattern instructions to attach the pocket to the front of the tank, ensuring that the print matches perfectly before sewing it down. Voilà! A perfectly matched pocket that is almost invisible when you are wearing the finished top. From A&K - Great Canadian Quilt Off, eh! From Mr. A - Did you Marry a Crafter?